No matter what time of year you visit, there are plenty of things to do in Massachusetts. From Boston and the Berkshires to Cape Cod and the Islands, there’s no shortage of family activities, historic sights, and outdoor adventures for everyone to enjoy. The best part about the Bay State is there are fun things to do year-round, so you’ll want to keep coming back. Here are the 10 things you don’t want to miss. 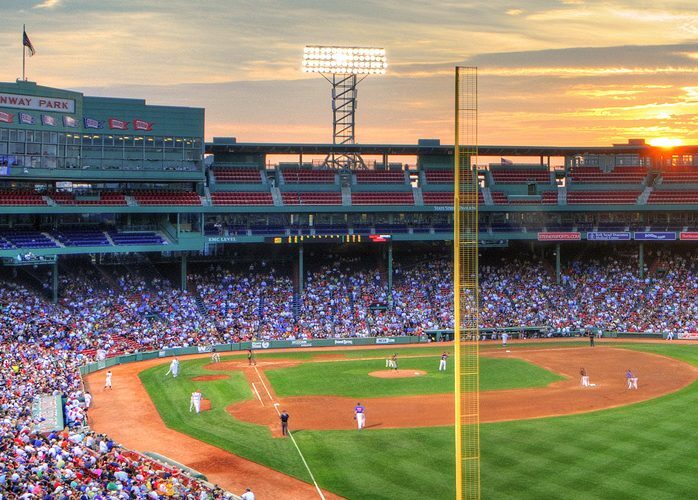 If you're wondering what to do in Massachusetts with the family, seeing a game or taking a tour of Fenway Park in Boston is a must—and you don't have to be baseball fan to appreciate the history and charm of Boston's "lyric little bandbox." There's nothing quite like eating a Fenway Frank while taking in the park that legends like Ted Williams, Carl Yastrzemski, and "Big Papi" David Ortiz called home. Baseball season is April through September (and October if the Red Sox make the playoffs). Even if you're visiting outside of baseball season, Fenway Park tours are offered year-round; you can purchase tickets online within two weeks of the scheduled tour, or in person at the park. The Berkshire mountains (also called simply the Berkshires) in Western Massachusetts are located about 42 miles from Albany, New York, and are almost equidistant from New York City and Boston at 142 and 130 miles, respectively. Their location makes them a great place to go with lots of things to do year-round. 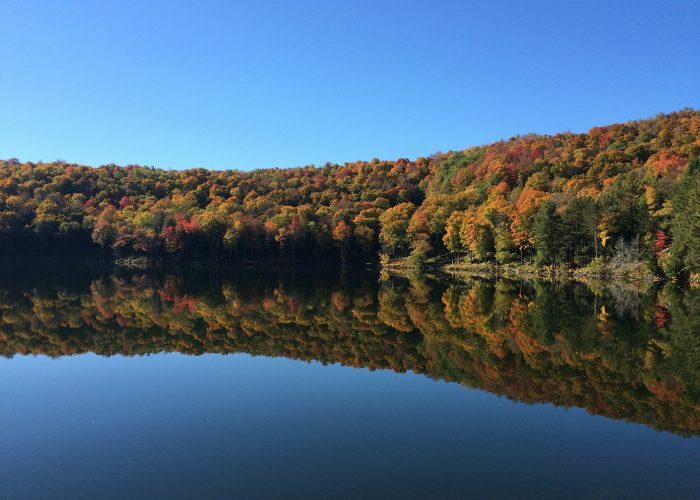 In fall, the Berkshires have spectacular foliage on display along seven distinct driving routes. Fall also brings Halloween celebrations and harvest festivals. And, the crisp weather makes it a great time to hike the mountain trails. There's no shortage of things to do in the spring and summer, either, with yoga retreats, rock climbing, golfing, water sports, bike paths, a museum, performing arts, and small-towns shopping all in full swing. In the winter, the Berkshires offer both downhill and cross country skiing, as well as snowmobiling, ice fishing, ice skating, and tubing. If you're wondering what to do in Massachusetts in terms of food, look no further than Boston's North End. The Italian district rivals Little Italy in New York City—and even Rome, Florence, Venice, and Milan—for classic Italian fare. The North End hosts different feasts in the summer months, like Fisherman's Feast and Saint Anthony's Feast. You can also take a food or walking tour of the area—the heart of the Freedom Trail runs through the North End—or just meander the brick streets on your own until you find a menu to your liking. It feels like Halloween year-round in Salem, Massachusetts (famous for the Salem Witch Trials in 1692), but the entire month of October is especially taken over by the trick-or-treat holiday. Touring "Witch City" is one of the best things to do in Massachusetts if you're a history buff or interested in any and all things haunted. You can reach Salem by train, car, or ferry from Boston. Tours are one of the most popular things to do in Salem, and there are more than 30 haunted or history tours to choose from. Bewitched After Dark is top-rated, followed by Hocus Pocus Tours, Spellbound Tours, and the Salem Witch Walk. But it's not all witches and ghosts in town. Salem is also home to the Peabody Essex Museum, featuring a rebuilt Qing-era Chinese house, as well as the Salem Maritime National Historic Site, the House of Seven Gables, the Salem Heritage Trail, and the Salem Willows amusement park. No summer in Massachusetts is complete without a trip to Martha's Vineyard, Nantucket, or Cape Cod. A visit to these summer hot spots is one of the best things to do in the state come summertime, and they're all surprisingly accessible: You can take a ferry from Boston straight to Provincetown (at the tip of Cape Cod) or take the CapeFLYER from Boston to Hyannis; from Hyannis, you can take a ferry to both Martha's Vineyard or Nantucket. There are also regular flights between major East Coast airports and Hyannis, Martha's Vineyard, and Nantucket. Wondering what to do once you get there? From bike paths to lighthouses to off-roading on beaches, there are plenty of things to do. Cape Cod and the Islands also have some of the best seafood in Massachusetts, so make sure you get your fair share of clam chowder, lobster rolls, and oysters. Located south of Boston in Plymouth, Plimoth Plantation is one of the best things to do in Massachusetts. 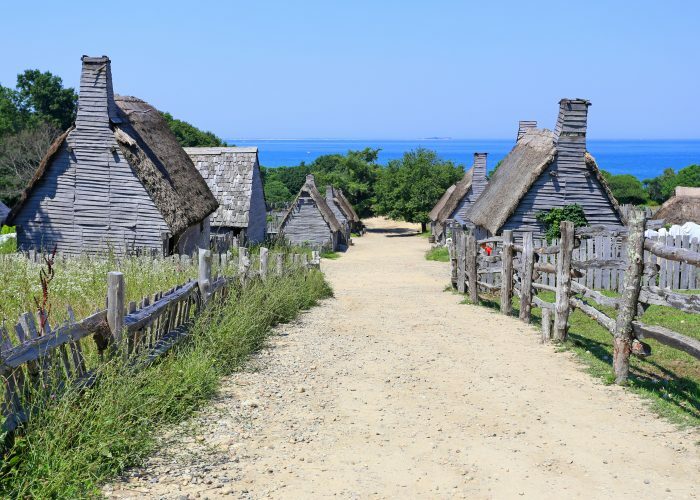 Whether you're with the family or simply interested in Colonial history, you'll love visiting this site, which shows a recreation of the 17th-century English Village built by the Pilgrims. While you're there, also check out Plymouth Rock, the Plimoth Grist Mill, full-scale reproduction of the Mayflower, and the shops and restaurants in town. Always wanted to see what an Ivy League school is really like? Take a public tour of Harvard University in Cambridge, just outside Boston. It's one of the best free things to do in Boston, and it only takes about an hour. You'll see Harvard Yard and hear the full history of the university. Tours are led by a current student. After your tour, explore the surrounding area, Harvard Square, and stop in at the local bookstores or the many coffee shops, restaurants, vintage stores, and boutiques. The Boston Harbor Islands National and State Park is a great day-trip just outside of Boston. There are direct routes to Spectacle, Georges, and Peddocks islands from Long Wharf in Boston, and there's also the Inter-Island ferry with service to Lovells, Peddocks, Grape, and Bumpkin islands. Each Boston Harbor island has its own character and no shortage of things to do, like beach yoga, kayaking, hiking, and camping. Don't miss Fort Warren on Georges Island, a Civil War fortress frequented by a ghost known as the Lady in Black. Make sure to check out the island of Little Brewster, too, which is home to America's oldest light station. Wondering what to do in Massachusetts for arts and culture? Check out Boston's often overlooked (and sometimes free) museums. There's the Museum of Fine Arts (MFA) to start, which is the fourth largest museum in the U.S. and is free on Wednesdays after 4:00 p.m. There's also the Isabella Stewart Gardner Museum, subject of the famous 1990 heist when 13 rare works of art were stolen. Also check out the Seaport's Institute of Contemporary Art (ICA) and Boston's Children Museum, as well as the interactive Museum of Science, Harvard Museum of Natural History, and John F. Kennedy Presidential Library & Museum, which are great things to do with kids. You don't have to go inside to see history, either: Boston's streets and buildings are a living museum themselves, with historical sites along the Freedom Trail like The Paul Revere House, Old State House, and African Meeting House. Getting on the water is one of the best things to do in Massachusetts. The most family-friendly way to do it is via a Swan Boat tour on the Boston Common or a Duck Tour along the Charles River. 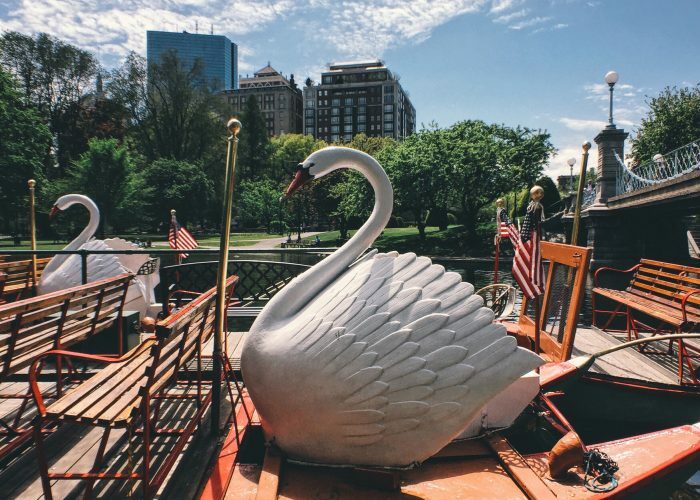 The Swan Boats are a leisurely 15-minute pontoon ride through Boston Common, while the Duck Tours last about 90 minutes and take you throughout the city of Boston on roads and river ways. Both tours reveal some of Boston's most famous sights, and are great things to do with kids or history aficionados.